Neil Gorsuch will help Trump wage war on voting rights. The courtroom gasped audibly as Scalia spoke. The fact that he viewed the country’s most important civil-rights law as a “racial entitlement” was a textbook example of the radicalness of his views. Four months later, Scalia joined a 5-4 opinion gutting the law, ruling that states with a long history of voting discrimination no longer needed to approve their voting changes with the federal government. The Roberts Court, with Scalia as a key influence, weakened voting rights protections, allowed corporations to spend unlimited secret money on US elections, overturned the District of Columbia’s handgun ban and ruled that businesses didn’t have to pay for contraception care. Merrick Garland should have been the one to fill Scalia’s vacant Supreme Court seat. It was unprecedented and outrageous that a judge as qualified and mainstream as Garland didn’t even get a hearing. And it’s more than a little ironic that a president who won 5 million more votes than his opponent in 2012 couldn’t make the selection but one who got 2.9 million fewer votes than his opponent can. 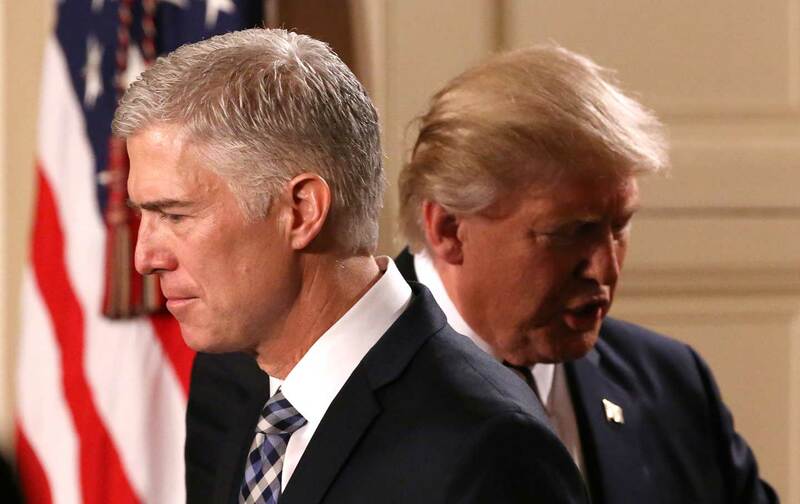 But after Republicans stole the seat by denying President Obama his constitutional mandate, Donald Trump said he wanted to appoint a justice “as close to Scalia as I could find.” Neil Gorsuch is that person. Gorsuch has praised Scalia as a judicial role model. “Mark me down, too, as a believer that the traditional account of the judicial role Justice Scalia defended will endure,” he said in a lecture last year. Like Scalia, as a judge on the US Court of Appeals for the Tenth Circuit, Gorsuch has been hostile to abortion rights and environmental regulations, and sympathetic to large corporations and the religious right. He has criticized liberals for challenging bans on gay marriage before the courts. Though his paper trail on civil-rights cases is slim, he’ll presumably be in sync with Scalia on these issues too. Gorsuch could be the deciding vote on critical voting-rights cases very soon. The Supreme Court will likely hear challenges to voter-ID laws and related voting restrictions from states like North Carolina and Texas in the near future. There are already indications the Trump Justice Department is preparing to switch sides in these cases, backing restrictive voting laws instead of minority voters facing disenfranchisement. In addition, conservatives could take aim at what’s left of the Voting Rights Act—Section 2 of the law—which Chief Justice John Roberts challenged when he was a young lawyer in the Reagan Justice Department. These restrictions, which could include mandating strict voter-ID for federal elections or documentary proof of citizenship to register to vote, will almost certainly be challenged before the Supreme Court. It’s already clear that many of Trump’s policies will be constitutionally suspect, beginning with his disastrous Muslim ban. The recklessness of Trump’s policies and the threat he poses to the very foundation of American democracy underscore the importance of an independent and thoughtful judiciary. Another Scalia on the Supreme Court is the last thing we need right now.